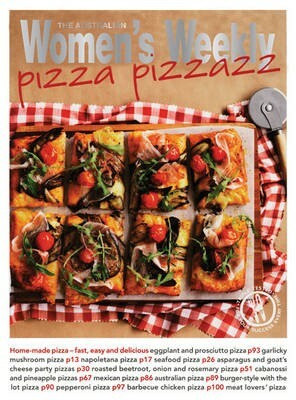 Pizzas are so easy to make and the combination of toppings is endless. This book teaches you everything you need to be a pizza pro - from making the dough and a basic tomato sauce to how to use pizza stones and paddles. There is even a chapter on kids' pizzas, using bought dough, to make pizza-making at home as easy as calling in a delivery. There are recipes for all the classics like Margherita and Napoletana, popular fast-food-style pizzas like Hawaiian and Supreme, and even gourmet pizzas you won't be able to find in any pizzeria, like the delectable Goat's Cheese and Smoked Salmon Pizza. Once you learn the secret of delicious pizza-making, you'll never want a take-away again.